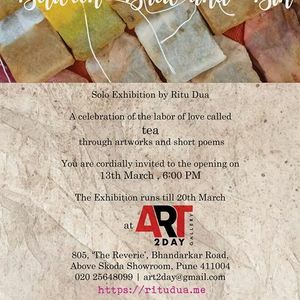 "Between Brew and Bin" is an art exhibition that features unique artwork on used teabags by artist Ritu Dua. Between Brew and Bin is her way of appreciating and celebrating the finer details of the growing, preparing, brewing and enriching experience called ‘tea’.When it comes to tea, we often forget the contribution of the tea growers & factory workers towards our lifeline ‘chai’. Each teabag used here carries one such story in its heart. 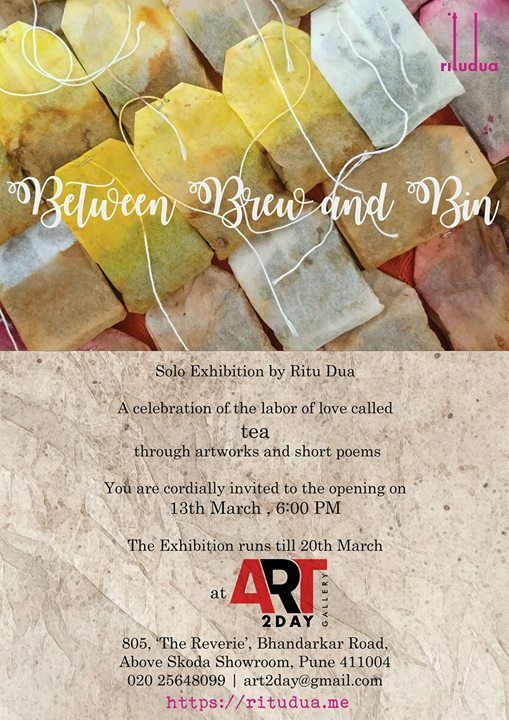 Between Brew and Bin is thus a creative effort to give a longer life to these stories and is her heartfelt tribute to tea workers. Between Brew and Bin is also a way of supporting her belief that ‘Trash is the failure of imagination’. Trash is a human invention, a concept that does not exist in nature. 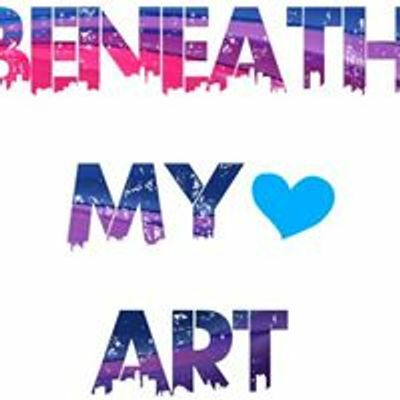 She has taken up this intriguing challenge of creating unique art from used teabags to add a perspective of value to this trash (otherwise destined to the bin).